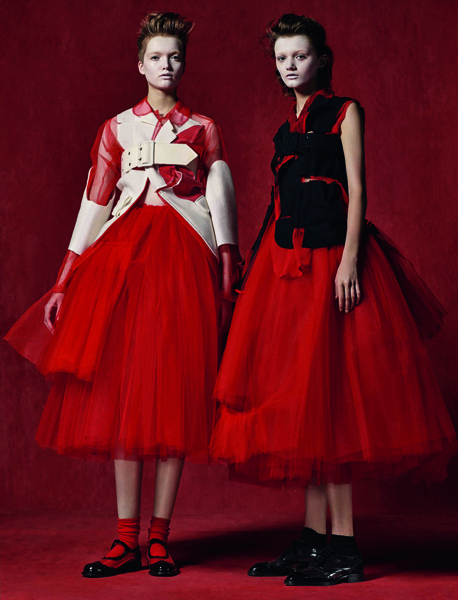 Home » Posts Tagged "#MetKawakubo"
At last. An important event where celebs wore their hair more groomed, less messy. The hair world must now take note and hopefully this is the beginning of the end for nothing messy straggly beachy greasy over-wisped hair that looks as if it has been dragged through a hedge backwards. Yes, there were plenty of ponytails, far too many, but they did not look modern or right or glam enough. 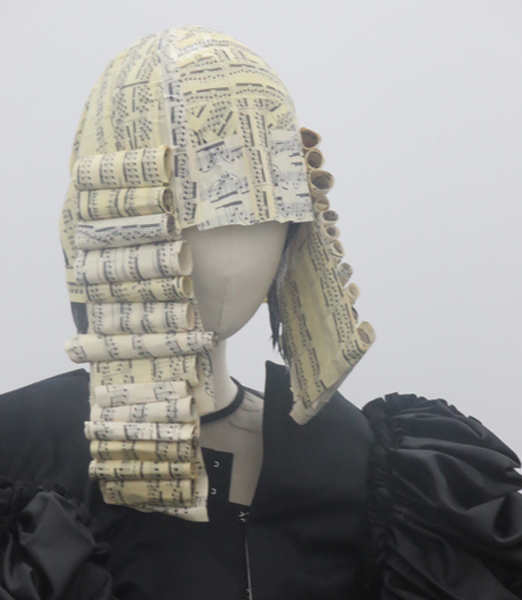 At the Comme des Garçons/Rei Kawakubo #MetGala event for 2017, we saw more modern hair – dead straight lobs, some great, well done and finished updos and chignons (not shown here) and Top Row, left to right: Donatella Versace with the best hair color – acid yellow strategically placed, with Kylie Jenner wearing what looks like a wig, the beginnings of regrowth showing subtly – both wearing magnificent Versace gowns … Bella Hadid wore a mid-parted straight lob … Kim Kardashian wore a mid-parted longer lob, very straight, no jewelry … Lilly Collins looked great in dark lips and her one length short bob, even with short bangs. 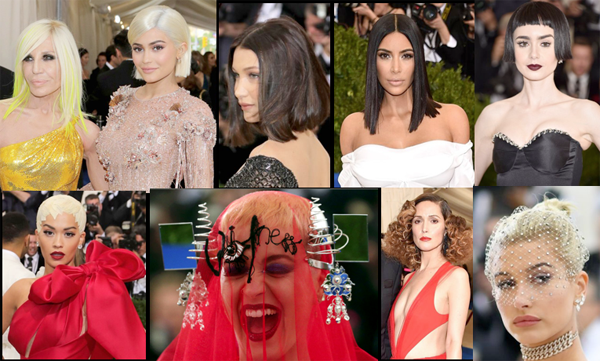 Bottom Row, left to right: Rita Ora with an interesting art gamine … Katy Perry had some fun with her avant-garde head statement, and dress, on theme, which most were not … Rose Bryne look glam in wide curly curls … Hadley Baldwin looked fab with her veil and dog collar.